"She didn't care about him," Al Salman of Rodeo, California said his niece felt of her late husband, Omar Mateen, who was killed in a police firefight on June 12 after the attack at the Pulse nightclub. "I guarantee it. The evidence will show it. She is an innocent person....That guy, he get what he deserves." Speaking to a bank of reporters, Al Salman said he believes in her "100 percent." He added he thought his niece was a victim under Mateen's abusive hand, although he didn't provide specifics. "All these years living that kind of life," he said, his voice trailing off. "He asked for her hand once, I met him at the wedding, and twice, all these years." He said he had assumed Mateen was nice because he came from a good family. Al Salman also told reporters that he felt awful for the family members who lost relatives in Orlando. But he said that his niece, whom he raised, was not to blame. "We believe in her," he said. 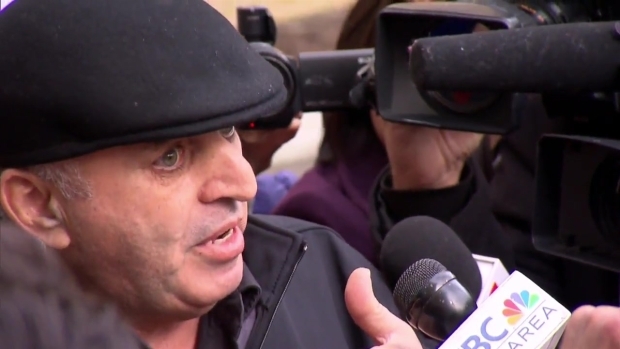 "When she said she's innocent, 'I have no idea what that crazy guy is doing,' we know that." He described Noor Salman as a "soft, sweet girl" who "never thinks about herself," he said. She only thinks about her 4-year-old son, who is now being cared for by his grandmother. "What am I going to do for my son? What school am I going to pick for my son?" Al Salman said of his niece. 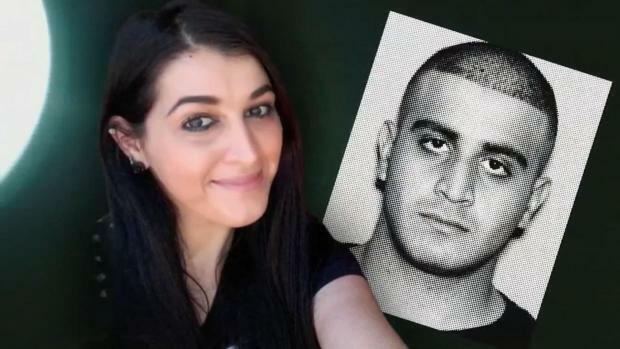 Last month, Noor Salman petitioned a judge to have her son’s name changed because his middle and last name are “Omar Mateen,” the Contra Costa County Times reported. For now, Al Salman said the family told the young boy that his mother was off buying him toys. Instead, Noor Salman was being held without bail in Santa Rita Jail before she is likely extradited to the U.S. Central District Court in Florida where the case is being prosecuted. Without saying anything, Noor Salman did not enter a plea Tuesday. Her arraignment was delayed until Wednesday, when her Florida attorneys were expected to arrive. A provisional federal public defender told U.S. District Court Judge Donna Ryu the defense team was hoping for her release. Noor Salman appeared disheveled in court; her hair unbrushed. She scanned the room looking for supporters. NBC Bay Area obtained exclusive video of the moments before her arrest at her family's Rodeo, California home at 7:30 a.m. Monday. Her uncle said she was sleeping at the time and had no idea the agents were coming for her. Linda Moreno, a Tampa, Florida attorney sent a statement to NBC News on Monday, hours after the 30-year-old mother's arrest: "Noor has told her story of abuse at his hands. We believe it is misguided and wrong to prosecute her and that it dishonors the memories of the victims to punish an innocent person." Charging documents made public Tuesday morning show that Salman was indicted on Jan. 12, four days before her arrest. In court, away from the cameras, federal prosecutor Roger Handberg said Salman knew her husband "was going to conduct an attack." Al Salman, the uncle of Noor Salman, who is charged with aiding her husband before he massacred 49 people at an Orlando nightclub, defended her on Tuesday outside a federal court in Oakland. In the days after the attack, law enforcement sources told NBC News that Noor Salman told investigators she was with him when he bought ammunition but tried to dissuade him from violence. When asked how Noor Salman couldn't have known about the attack, especially since she knew about the ammunition, Al Salman got defensive. He didn't answer the question, and told reporters to "look at the file," meaning the police report on her. In June, a source close to the family told NBC News that Mateen sent his wife a text message during the rampage, asking her, "Do you see what's happening?" After swapping texts, she allegedly tried to call him. But on Tuesday her uncle explained his niece's side of it: On the day of the shooting, Noor Salman's mother-in-law called her to say, "Where is Omar?" Noor Salman replied, "He's not here, let me call him," her uncle recalled. When she reached him, Mateen asked his wife if she had seen the news. Mateen replied, "I love you baby," the uncle recalled. "And then he hung up." NBC News' Andrew Blankstein and NBC Bay Area's Shawn Murphy and Pete Suratos contributed to this report.